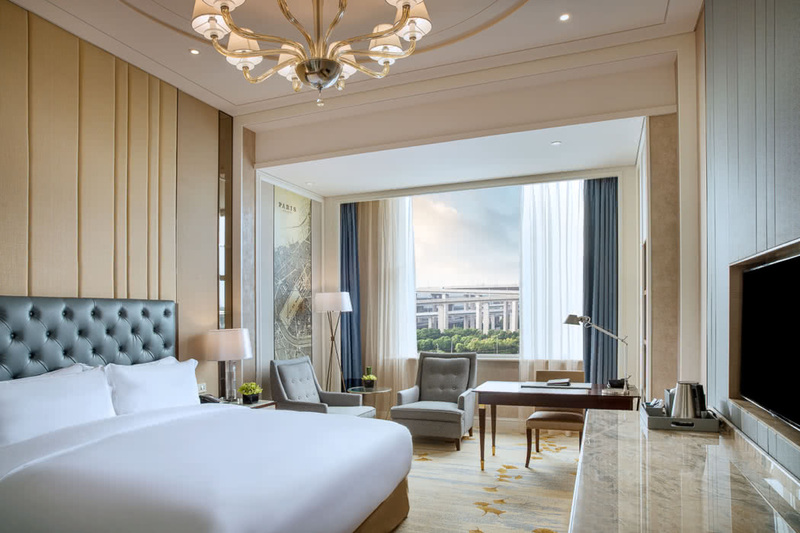 On your next trip to Shanghai, China, stay in pure luxury at the stunning, Parisian-inspired Sofitel Shanghai Hongqiao. 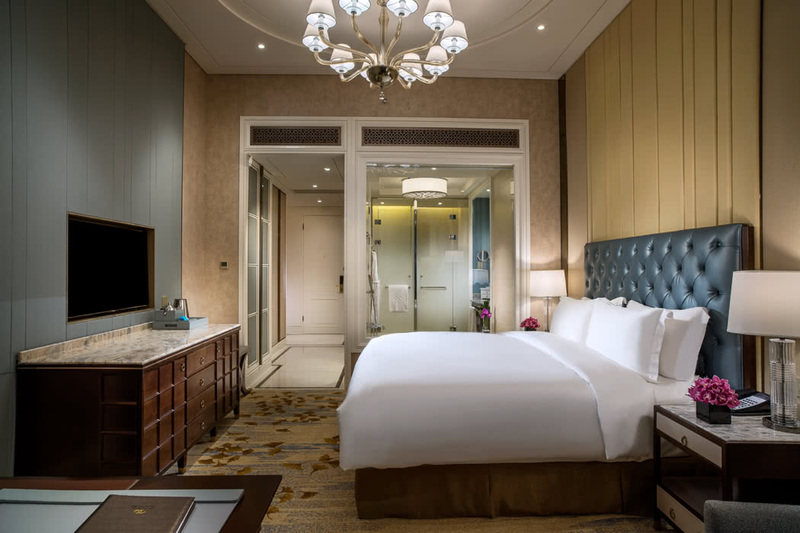 The Sofitel Shanghai Hongqiao hotel lies in the heart of the city’s Hongqiao central business district. You are conveniently near to Hongqiao Airport and Railway Station and opposite the National Exhibition and Convention Center (NECC). The Parisian-inspired common areas, guest rooms are suites are simply beautiful. Opulent, lavish and chic; just like Paris. 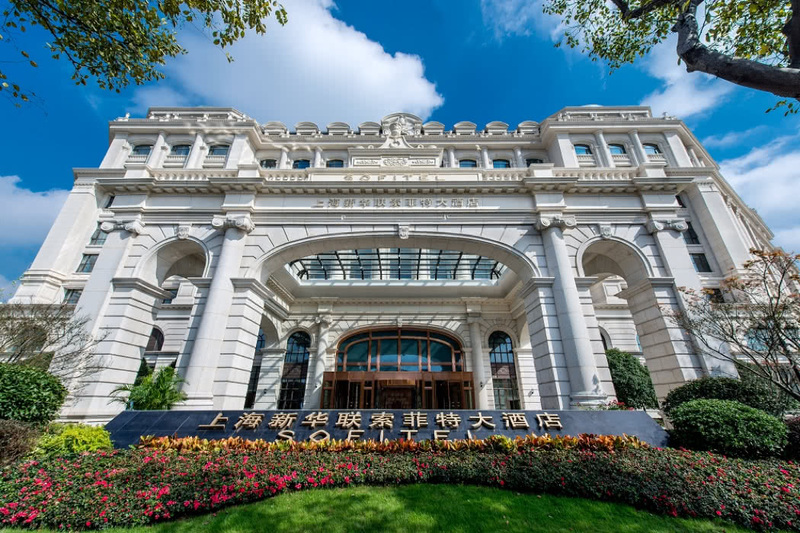 The city of Shanghai has long been referred to as the “Paris of the East” and so the hotel is a wonderful representation of this tradition. An impressive array of avant-garde business and leisure facilities are available to you. 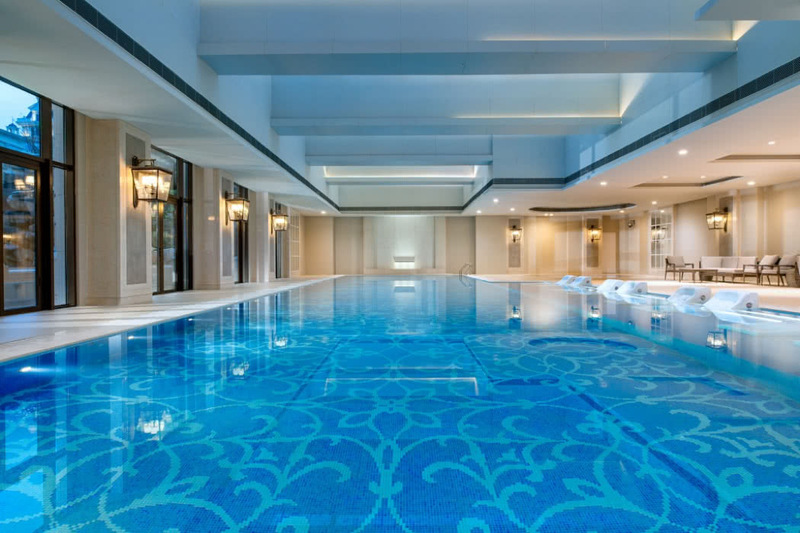 Clock up some lengths in the 25-metre indoor infinity pool then relax on the outdoor terrace. For some serious pampering, treat yourself to a massage at the SPA and make use of the sauna, hammam and Jacuzzi too. 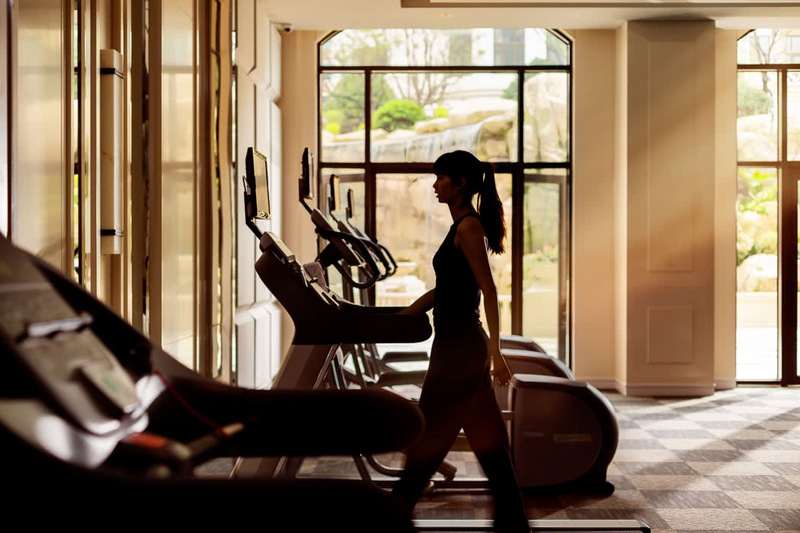 There’s also a So Fit gym as well as 11 meeting rooms covering 2,000 sqm. Events held at the Grand Ballroom whether for a personal or business occasion, will be remembered for all the right reasons. The service is impeccable; formal, welcoming and very efficient. The concierge team are also noteworthy, they can furnish you with excellent tips on how to explore the city and know all the best places to go. 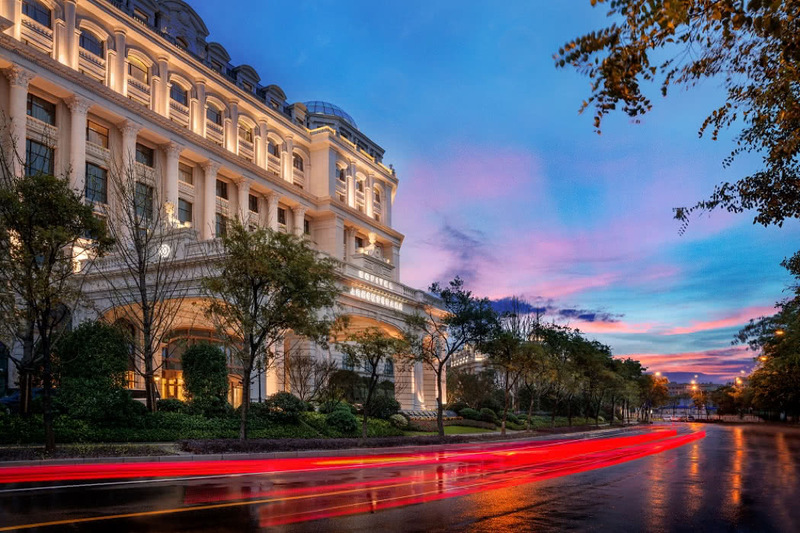 Choose from 354 beautiful guest rooms and suites all featuring French-style furnishings, the signature Sofitel MyBed and bathrooms with separate bathtubs and showers. Opt for a Superior or Luxury Room both of which can be taken with Club Millesime access; a definite must for discerning guests! The Luxury Rooms are not only larger than the Superior Rooms and that bit more stylish too, but also include magnificent floor to ceiling windows to really make the most of the city views. An upgrade to a Prestige Suite gives you a separate living room, much more space and offers the ultimate extravagance for the luxury traveller. 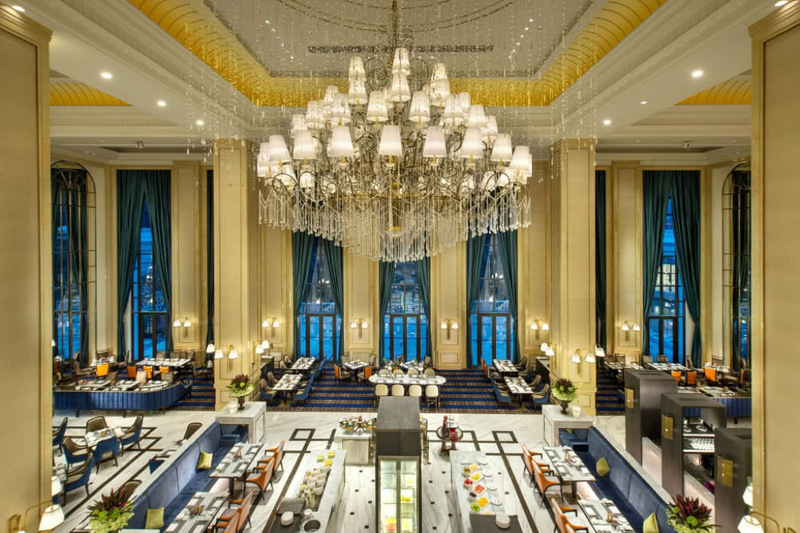 There is a fabulous selection of restaurants and bars available to you at Sofitel Shanghai Hongqiao. Dine in elegance at the international restaurant Kwee Zeen whilst marvelling at the stunning views of the cascading waterfall. 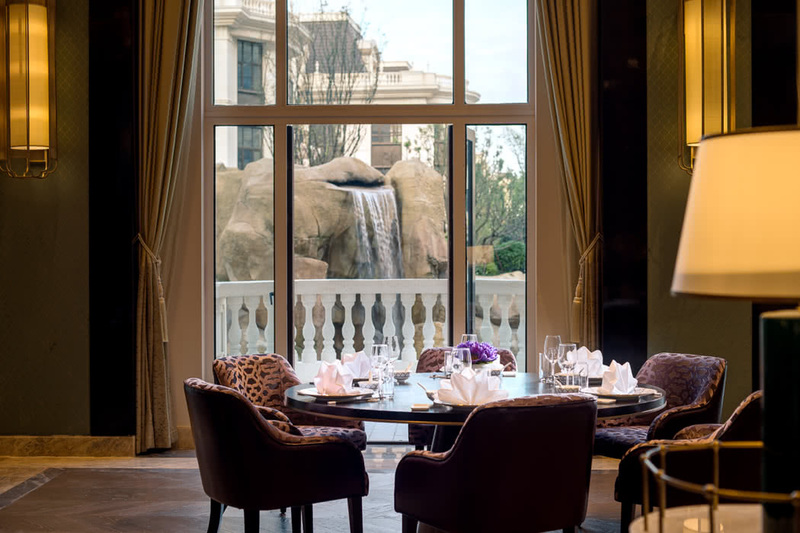 Savour modern Cantonese fusion cuisine at Le Chinios which also gives you a delightful view of the falls. Head to Wasabi for Japanese delicacies or for Spanish tapas, try Ocho Tapas and Wine. 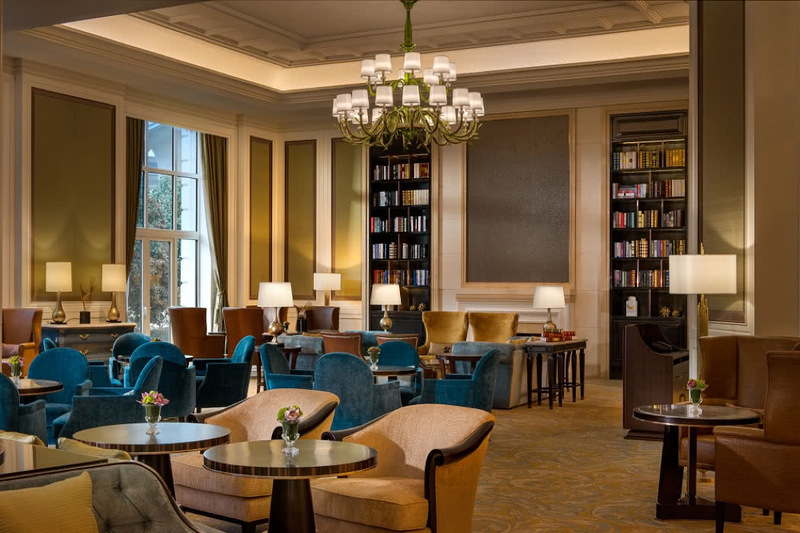 End your evening at Le Bar with a creative cocktail in the surroundings of an opulent Parisian lounge.